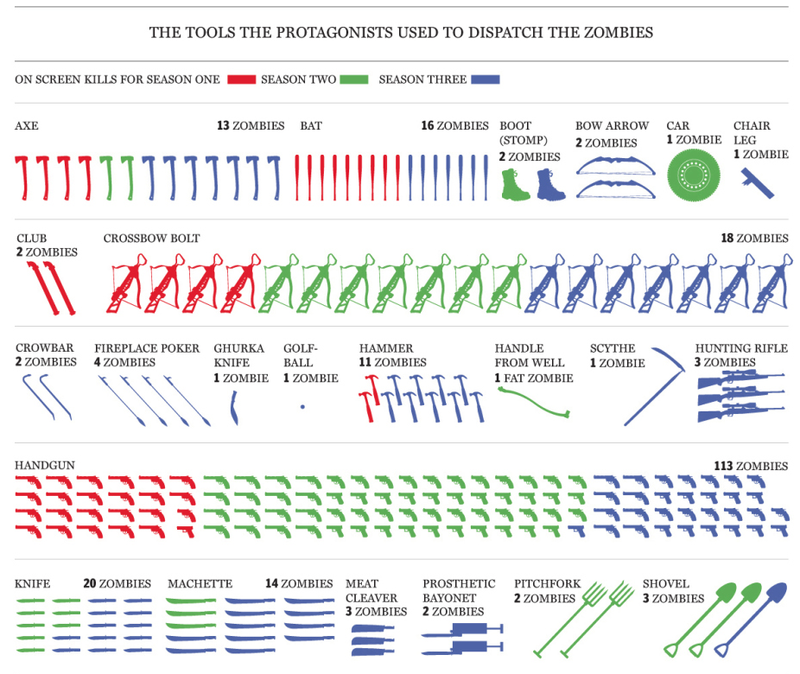 Infographics, while they are a bit overused these days, still represent a great way to package information in a visually engaging way. 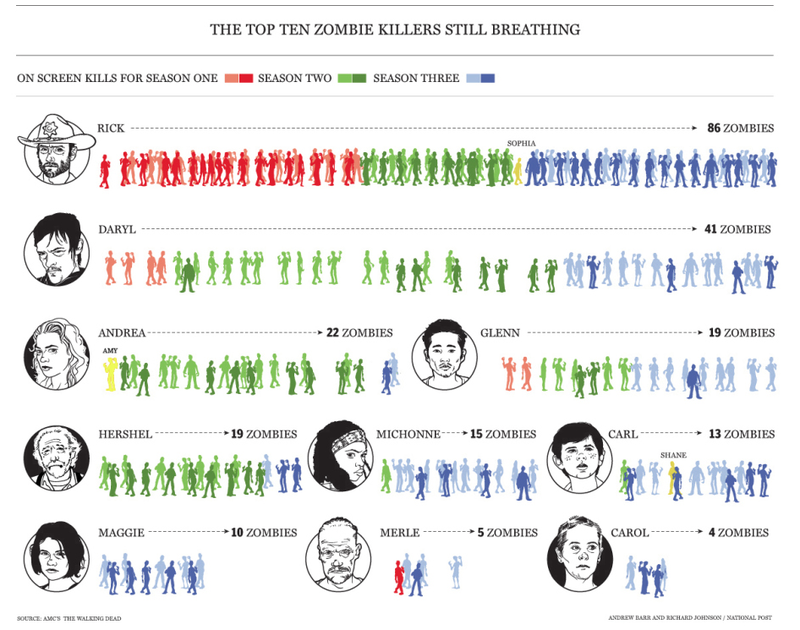 I’m pretty surprised that Hershel has out-slaughtered Carl, and that Carl ranks ahead of Maggie. Step it up, girl. Is there more? Oh yes, there’s more. See the whole thing and marvel. ← Growth Hacking: Does It Bring All The Boys To The Yard?